If you are looking for information on how to get the dealership of Mahanagar Gas CNG station then you have come looking to the right place. With the saturation of petrol and diesel market and sky touching rates, there couldn’t be a time better to purchase the franchise of a CNG gas station. CNG is the best alternative fuel for diesel as well as petrol and is cheaper than both. So here’s all you need to know about how to start the Mahanagar Gas CNG station franchise or dealership. Petrol pump dealership is one of the most profitable business, especially in India. With CNG taking hold over the petrol and diesel market for commercial light and heavy vehicles, the time to start a CNG gas center is right. Mahanagar Gas is one of the biggest brand names in the fuel industry and is popular across India. It is the best kind of investment that you can make in the current market. You must have a good amount of money to start a Mahanagar Gas CNG station. Total cost required to start a CNG station is Rs. 30 to 50 lakhs. This includes the cost of building the station as well as other costs required in setting up the station. This amount is subjected to change depending upon the place you want to open the CNG station. Rate of interest is good but depends upon the place of the station and the city as well. Frequency of vehicle that will stop for fuel is more on highways hence income is more on highways. But since the number of CNG stations is less so the market has not yet reached saturation and ROI is generally good. Mahanagar Gas CNG stationfranchise also has certain area requirements. For this franchise you will require a property of 700 square meters, or 7500 square feet for Light Motor Vehicle with 25 meter frontage. Whereas for Heavy Motor Vehicle plot size should be around 1500 square metres, or 16000 square feet, with frontage of 50 metres. This should be an encroachment free area with proper water and electricity supply. There are a few documents that the franchise aspirant will have to submit along with the application. Among these are proof of age, income proof, photo identity proof and address proof of the applicant. You will also need documents that can prove your business like proof of income, net worth issued by charted accountant along with shop certificate and establishment certificate. Documents that are needed to prove the authenticity of your property are property card, DP remarks by Municipal office or BMC, architect plan and lease deed. You also need to get your land papers verified such as title deed, latest 7/12 extract, partnership deed in case of partnership firm or distribution deed in it is distributed in family, NA tax receipt 20, NOC from landlord if plot is on lease and mutation entity or Fer far. Applying for Mahanagar Gas CNG dealership is very simple process. The application form can be downloaded from the official website of Mahanagar Gas. To download the application form visit the following link: www.mahanagargas.com/Common/Uploads/ContentTemplate/31_Down_31_Down_Applicationform_Franchisee.pdf. All you need to do is fill this form and mail it with all the essential documents that are asked on the website. There is no procedure to apply online. Bajaj is one of the most profitable franchises or dealership in India. 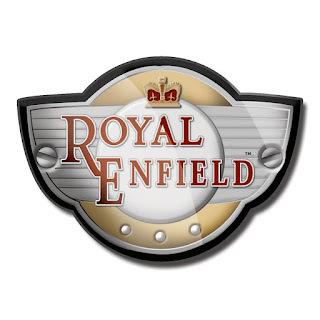 Following are all the details regarding this franchise and dealership. For knowing the cost, investment, application process and all other details continue reading. Why open a Bajaj two wheeler dealership franchise in India? Bajaj has been the automobile giant in the two-wheeler automobile sector. Its model Pulsar and Discover are the most loved and selling bikes in India. The Bajaj Discover set a new sale record of 10 lakhs bikes in less than 18 months. The Bajaj Pulsar has been the most awarded bike and has set a totally new record turnover of 2909 crores in a quarter with profit of over 403 crores. The new bikes launched by Bajaj in the market are doing extremely well and are growing in demand. Bajaj is one of the largest selling two wheeler automobile company which is why the profits are guaranteed. For starting Bajaj two wheelers dealership, the basic investment that you will require is around 40 to 50 lakhs. This includes the cost of developing interiors, spare parts. Also if the estimated sale of one month sale is around 200 motor cycles then the amount earned will be around 90 lakhs assuming that each motor cycle is worth Rs. 45000. Therefore the investment required for a Bajaj Two wheeler dealer is around 1.3 to 1.4 crores keeping in mind that it will sell a minimum of 200 or even more motor cycles per month. There is no an extra fee, franchise or royalty fees that is charged by the Company. The minimum land requirement for Bajaj Two wheeler dealership is around 2000 to 3000 square feet or might be more. The site planned for starting the showroom must be reasonably distant from dealers that already exist in the city in order to avoid cross selling. Bajaj is known for the quality of support that it provides which includes training of staffs, sales team regarding all the aspects of product and sales procedure. The Company will also help out in providing layouts, designs, interiors according to Bajaj dealership corporate standards. The expected return on investment (ROI) varies from 18% to 24% per annum. This ROI includes Vehicle Sales, Workshop revenue and Spare Parts. Application process for Bajaj Auto (two wheelers or three wheelers) is easy. All you need to do is fill the online application form that is available on the official website of the company http://www.bajajauto.com/dealerLocaterForm.asp. After filling all the required details you can submit the form online and leave it on the company to get back to you. If your application gets approved then the company executives will contact you. For any queries you can get in touch with the regional office of Bajaj Auto. The address details are given at http://www.bajajauto.com/dealerContact.asp. For those of you who are interested in starting a Hyundai franchise showroom must know that Hyundai does not provide direct franchises therefore you initially have to go for dealerships. Following are all the necessary details you need to know for starting a Hyundai dealership. Hyundai Motor India Limited (HMIL) is one of the largest passenger car exporter of India and the second largest car manufacturer. It was India’s top exporter for 7 consecutive years. There are more than 346 Hyundai Dealers in India and 800 service centre to take care of the increasing demand and provide quality of customer service. Hyundai has been honoured with various awards for its state of the art vehicles. There is no formal information provided by Hyundai Motor India Limited about dealership start up costs, investment requirements, estimated ROI, pay-back period and similar details. These figures can be estimated by carefully analysing the experiences shared by other dealership holders. It is important to remember that these figures are only a rough estimate and for knowing the exact amount you will have to contact HMIL executives. The land requirement for starting a Hyundai showroom will be around 4000 square meters in general. The cost of this much land in big cities will be from 15 to 20 crores. Roughly 5 crores will be required for developing the interiors of the showroom. Before the ROI starts flowing in you will have to keep funds aside for paying the staff and other maintenance purposes. Therefore to start a Hyundai dealership you will need around 25 to 30 crore rupees. The expected ROI for Hyundai dealership will start within 3 to 5 years. Whereas, the actual Hyundai dealership ROI or profit statistics will vary from person to person as they are directly proportional to management, sales strategies, location, promotions, etc. Looking on all the aspects this dealership is worth the investment amount. Applying for Hyundai dealership is really easy. You can do it by simply visiting the official website of Hyundai Motor India Limited. From there download the Hyundai dealership application form. After filling and attaching the necessary documents, send it to one of the Hyundai Motor regional offices in India. Hyundai dealership contact number: +91 - 11 6602 2160 (D) and +91 - 11 6602 2000 (Broad). If you are interested in starting Maruti Suzuki dealer show room or service station we have all the information bagged in this one article. Learn all about the investment, application process and documents required for starting a Maruti Suzuki dealership showroom in India. Maruti Suzuki is one of the most repute automobiles company in India and merely its name is enough to attract customers. Maruti Suzuki is popular for its affordable range of cars and the service rates that it provides. It is a hugely appreciated brand in India that does not require any introduction which is why its franchises are so successful throughout India. Total investment required for starting a Maruti Suzuki dealership franchise is around 30 to 50 lakh rupees. This is relative to the location you choose to open the Maruti Suzuki franchise and the nature of franchise. With the application form and documents you will also be required to send a demand draft of one lakh rupees in favour of Maruti Suzuki India Ltd payable at Delhi as earnest money. This money is refundable to those whose application form has been rejected. The investment cost must be high but so are the profits and the ROI of Maruti Suzuki franchise are very high. There is also a minimum land requirement of 4000 metre square. You must attach the following documents with your application without which your application will not be processed. All this is necessary because the management wants to know more about your business experience. Only then they will be able to decide whether or not you are fit for managing a business that is so huge. Clear pictures of the suggested land and buildings for Maruti Suzuki dealership showrooms or service station. City map that clearly points out complete dealership, other Maruti Suzuki showrooms and service station(if any) and major landmarks. Balance sheet of past 3 years and P & L account statement.Income tax and wealth tax returns. Bankers’ letters in prescribed pro forma. Latest CIBIL report of all directors and companies. Occupation and experience derails of director. Demand Draft as stated above. You can download the application from the official website of Maruti Suzuki where you can also read the dealership requirements. The soft copy of the application can be sent via email. The email address is ddd@maruti.co.in. There is an 11 page application form that must be filled and sent to the following address. MSIL are totally free to make any decision after going through your application form and are not liable to give reasons for rejection. There is no contact number provided by the franchise so all the queries should be asked by emailing on the above email id or mailing on the address provided below. Is Mahindra car Showroom your dream? Well it can surely come true and all you need to know is just a few details. Mahindra’s reputation has taken over the market of India and is a very successful car automobile brand in India. Mahindra First Choice is one of the India’s leading multi-brand used certified car company. This is few of the most profitable franchises in India in the field of automobiles. It is quite simple to apply for Mahindra First Choice franchise and you can easily learn about all the aspects such as the investment needed, land and area required, all about the program with training and support groups, online application forms that can be downloaded. All of this you can find in this one article. How is Mahindra First Choice franchise beneficial? Mahindra is without a doubt a leading franchise brand of Indian automobiles apart from this Mahindra First Choice is the first Indian multi-brand certified used car company which is now gaining popularity. The most enticing part is that you have such a big brand name to start with and you have no worries to build a reputation in the marked. This is one of the many advantages of getting a franchise under the banner name of Mahindra. Another of the advantages is that the cars that are certified have the certifirst advantage and the customers can take benefit from the Warrantyifirst which is the most preferred car warranty. There are no hidden charges and everything is transparent making the customers more comfortable in the deals and earning their trust. The company makes sure that all the cars are properly checked and have been through a 118 point checklist to ensure the quality. Promotion of business is easy as Mahindra has tie ups with various banks that will help you get started. Mahindra First Choice franchise requires a working capital investment of rupees 20 to 50 lakhs. The area required to build the showroom is 500 to 1000 square feet which includes the parking area for 15 to 20 vehicles. The possession of this much amount of land with the above required working capital will make you eligible for the Mahindra First Choice Franchise car showroom and you can get started with the discussion. Mahindra makes sure that it provides a descriptive and fully detailed training programme to ensure the eligibility of the workers and to enhance the quality of service. This training is compulsory for all the staff, workers and franchise owners. The people working for the franchise as well as the owner has to abide by some set of rules and guidelines for aspects like store layout and interiors, payment collection & processing, sale agreement, etc. For more details on training provided by Mahindra First Choice franchise you can surf the official website and learn more. For applying for the franchise you can visit the official website at www.mahindrafirstchoice.com and from there you can download the PDF of the Mahindra Franchise application form. You can also apply for the franchise online at /apply-online.aspx page by submitting your details. For those of you who are looking forward to start the dealership or franchise of Hero Moto Corp also known by its former name Hero Honda Motors Limited; you have started imploring the right place for information. 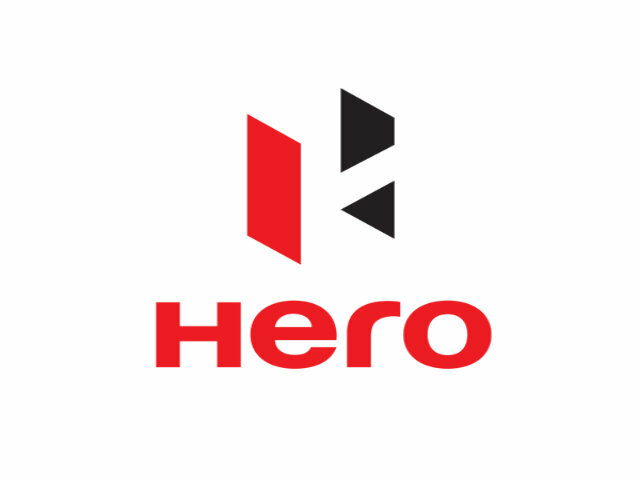 Hero Moto Corps has the largest market of bikes in India; taking the sales up to 6000 making the franchise of this company extremely beneficial in terms of profit. 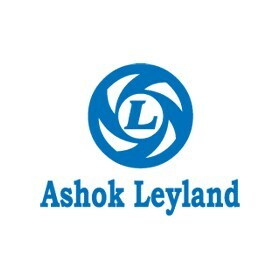 This company has the largest service group within which there are authorized dealerships, numerous service and spare part outlets and also outlets with dealers to expand and enhance the business in the country. You will find all the details regarding cost and investment and the application procedure below. The dealers of Hero Moto Corp make a lot of profit making the franchise extremely beneficial. 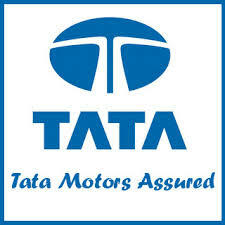 It is the two-wheeler automobile giant, manufacturing the maximum number of two-wheeler vehicles across the globe since 2001. It is now a brand name which is recognized throughout the world and has also bagged various awards. It was awarded the “Business Leader of the Year” award in 2013 by the Honourable President of India, Mr. Pranab Mukherjee. The company has seen a substantial growth of sales even in the remote parts of India. Hero Moto Corps provides the customers with a wide variety of choices with its 19 models of two wheelers that are not only have great body features but are also fuel efficient giving a good average over a large number of kilometres. All 19 models are durable and have the latest technologies installed in them. This is what makes Hero Moto Corps a renowned and profitable company and making all franchises and dealerships very beneficial. The investment information to start a franchise of Hero Moto Corps is yet known and has not been formally provided. There the exact profits are also not known. But the total investments of starting a franchise of Hero Moto Corps including the setup area and other expenses will be somewhere near the cost of Bajaj Two wheeler dealership franchise i.e. 1.3 to 1.4 Crores including setup, spare parts and the expected sale of around 200 vehicles. It is advisable to ignore any kind of third party indulgence in making your arrangement to get the dealership of Hero Moto Corps. It will be more suitable to directly apply at the head office by providing all your necessary details and profile, your investment budget and the availability of floor area and its location. The rest is totally up to the company whether it wants to give the dealership or not. Address: Hero Moto Corp Ltd.